Hire chair covers and sashes for a wedding, party or themed event. As well as chair cover hire we also supply centrepieces, tablecloths, linen and helium balloons. Free delivery and set up for wedding decorations in windsor and maidenhead and parts of berkshire, surrey, buckinghamshire and london. Our chair covers and sashes hire inlcudes the supply, fit and delivery to windsor and maidenhead and throughout the south east home counties and london. 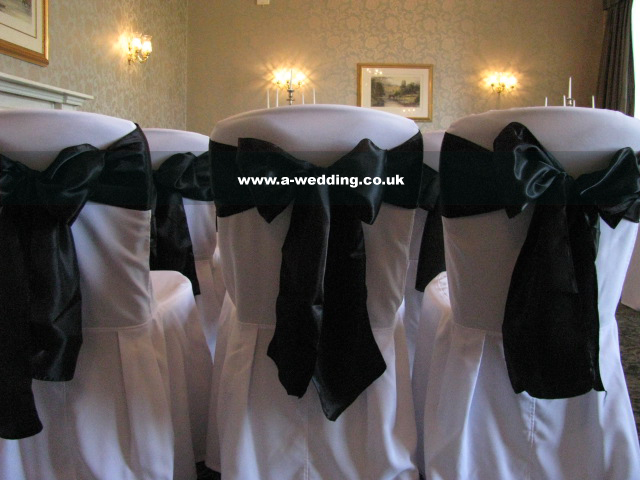 We have a wide range of wedding chair covers and sashes in different colours and styles to suit your theme. 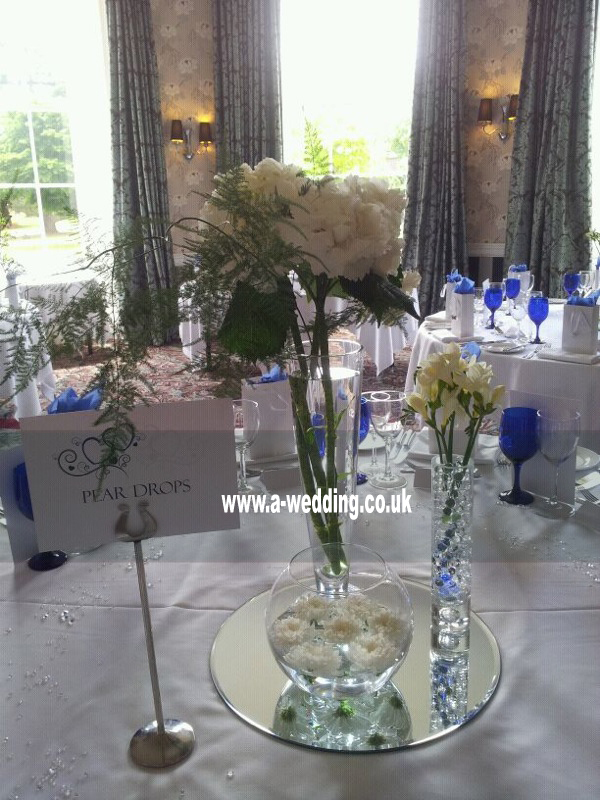 We hire wedding table centrepieces including mirror plates, candle tea lights, scatter crystals, gold fish bowls, flowers, martini vases and other wedding decorations to windsor and maidenhead and the south east, suitable for a wedding no matter how big or small at local affordable prices. 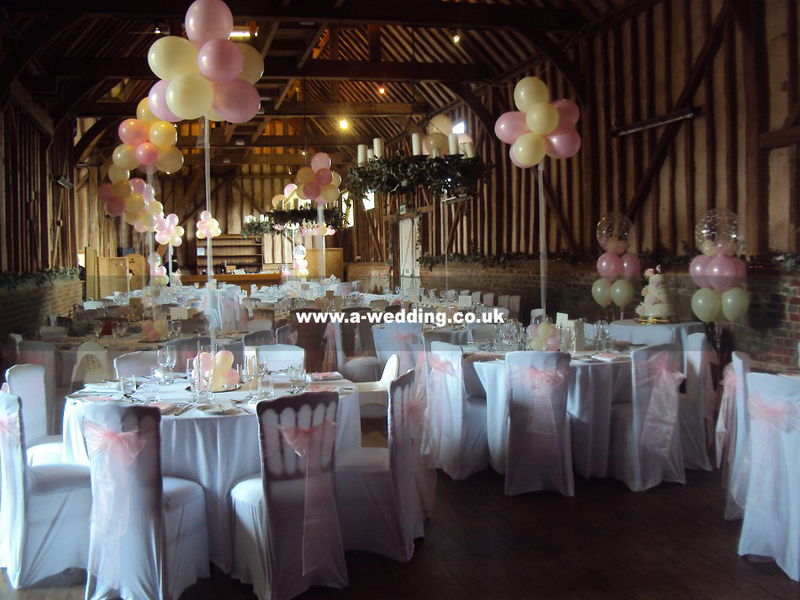 Helium balloon decorations are also available for delivery and setup in the windsor and maidenhead area on your big day and include wedding balloon centre pieces, table balloon bouquets, floor standing balloon bouquets, balloon arches, balloon columns and other balloon decorations all tailored for a wedding. 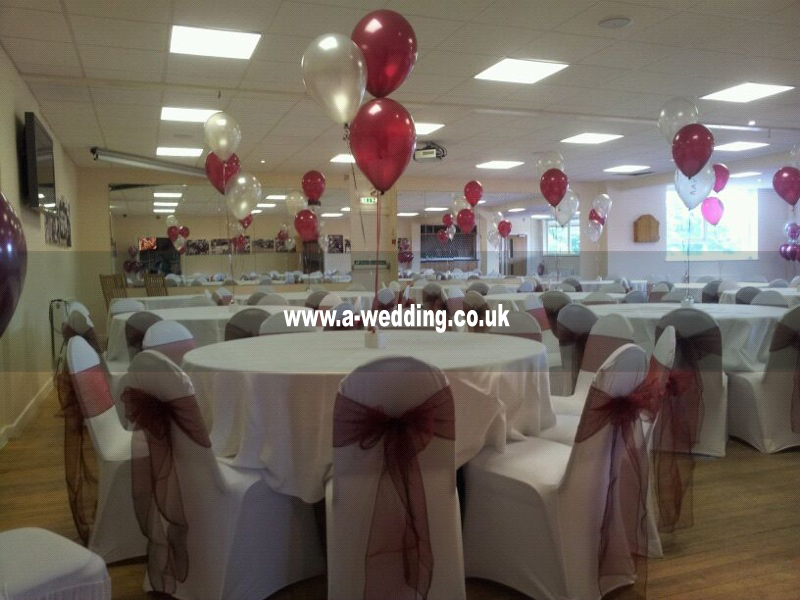 For a wedding setup in windsor and maidenhead, berkshire consisting of approximately 100 people including chair cover hire, table centrepieces hire, sashes hire and helium balloon decorations setup and delivery you wouldnt spend more than a few hundred pounds. We also deliver to surrey, buckinghamshire, hampshire and london but charge a small delivery fee depending on mileage. At a wedding we set up decorations for all types of events including parties, corporate events, special events as well as weddings, so you are guaranteed quality and experience working alongside you on your big day. We hope to build our great reputation in the windsor and maidenhead wedding industry and the surrounding areas. Call us today on 07827 758765 and book a free consultation with a wedding decorator. Alternatively fill out the contact form and we will respond within 24 hours with a decorations quote for a wedding, party or event. If you are planning a wedding locally in windsor and maidenhead, berkshire then you can trust us to deliver wedding decorations to suit the needs of a wedding no matter how big or small the event is. We also cater for private wedding receptions in locations around maidenhead, marlow, henley, ascot, reading, cookham, bourne end, windsor, reading, camberley, bracknell, woking, wokingham, staines, slough, Kingston upon thames, richmond, west London, uxbridge, watford, rickmansworth, high wycombe, harrow, hillingdon, hounslow, middlesex and beaconsfield to name a few places.